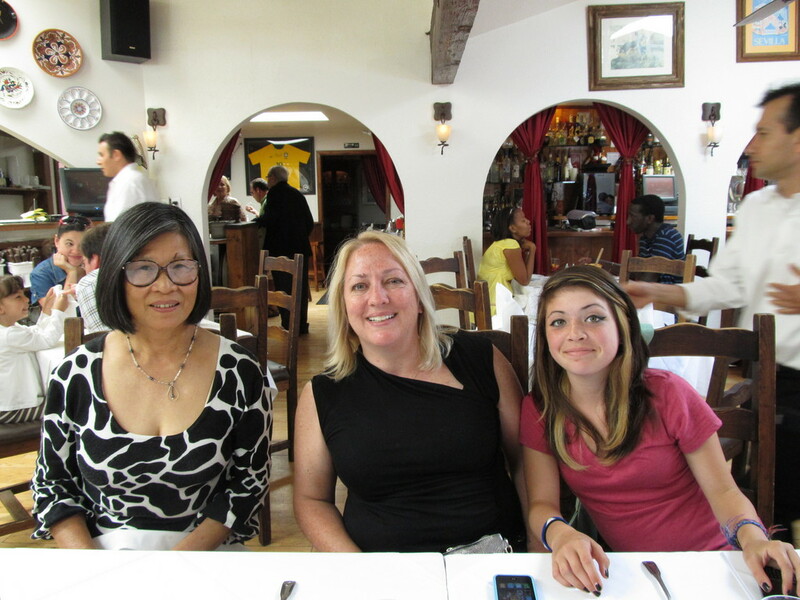 This past weekend, Kathleen, Lucinda and I went to San Diego to visit my father, see the seals, and also visit the zoo. We drove down there on Saturday morning. We had lunch with Grandpa, and then we went to La Jolla to see the seals. Sadly, there were few seals to be seen. 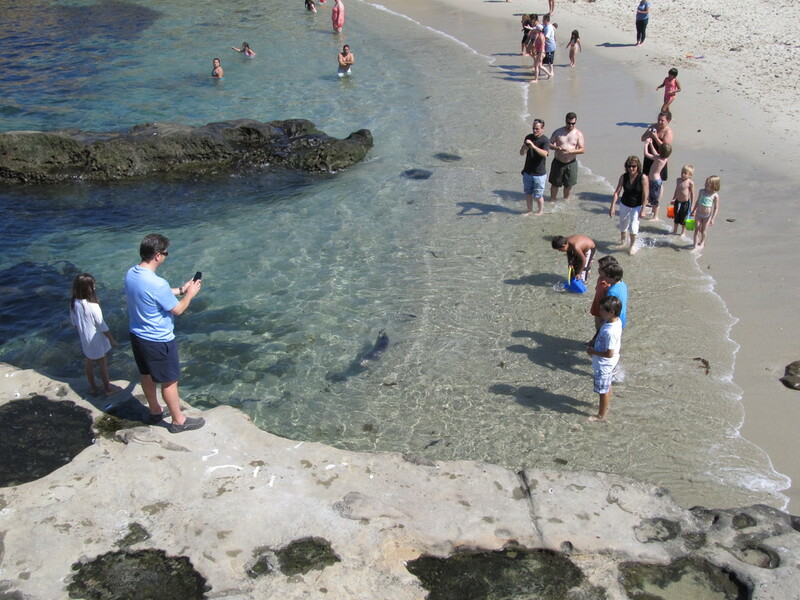 The anti-seal people were asserting their ‘right’ to use the beach, and they scared most of the seals away. There were a couple swimming around just offshore, but most of them were camped out on a rock some distance out. This was a big disappointment. Every time we go to San Diego, we make a point to go see the seals, and we’re there to see seals. We can look at people at any one of the many beaches in San Diego, but there’s only one where we can see seals. 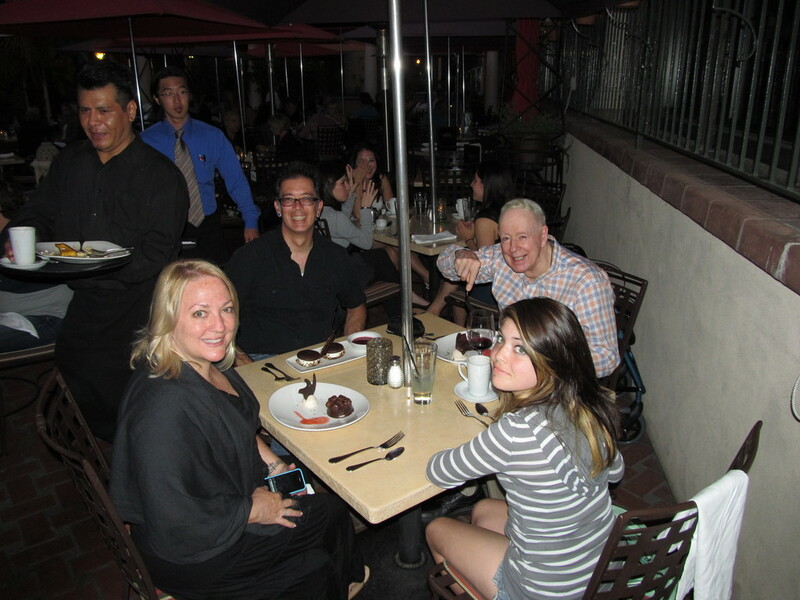 After that minor fiasco, we went back and took Grandpa to Prado in Balboa Park for dinner. 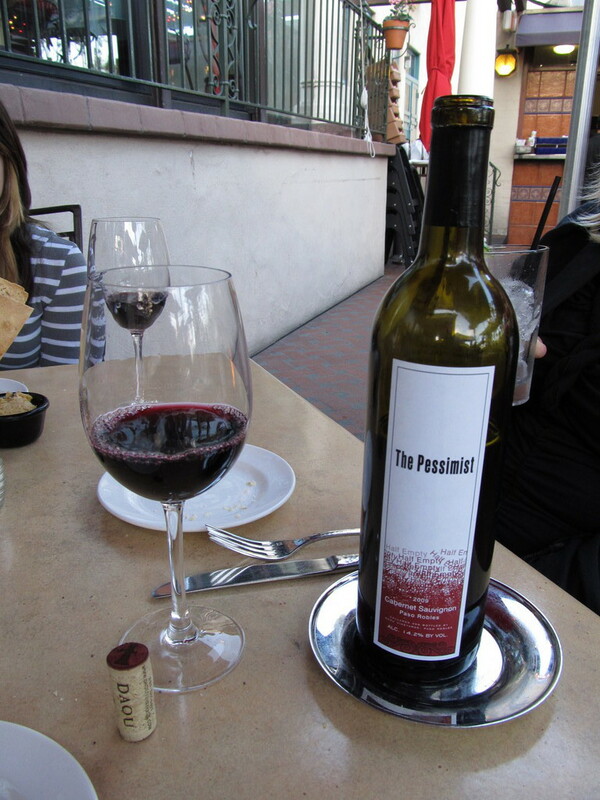 We go a bottle of The Pessimist wine with dinner. I kind of expected the bottle to be half-empty. As always, the food was great. We had a nice time there. 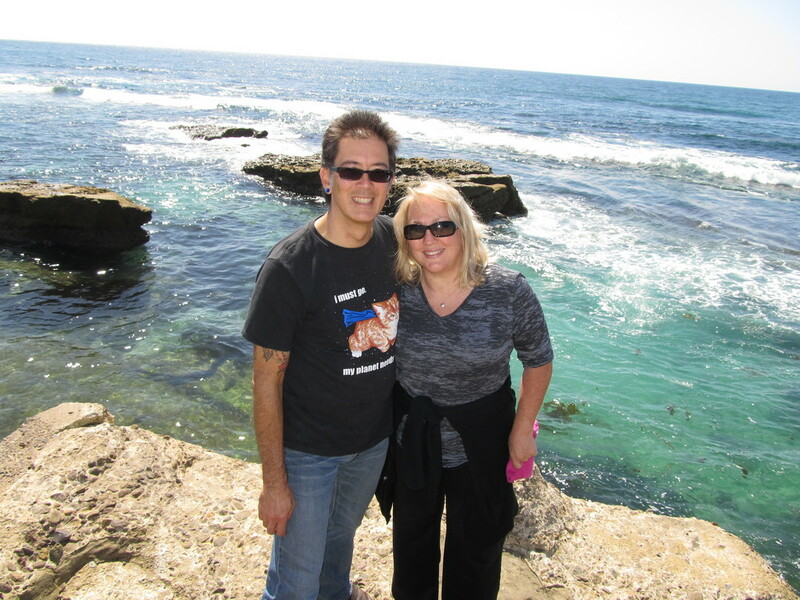 On Sunday morning, we went back to La Jolla. The seals usually come ashore by sunset, since the people leave then, and they’re usually still on the beach in the morning. But not today. There were already people on the beach, and the seals were scared away again. We saw some of them in the water, and a lot were on the same rock offshore, but there were none on the beach. 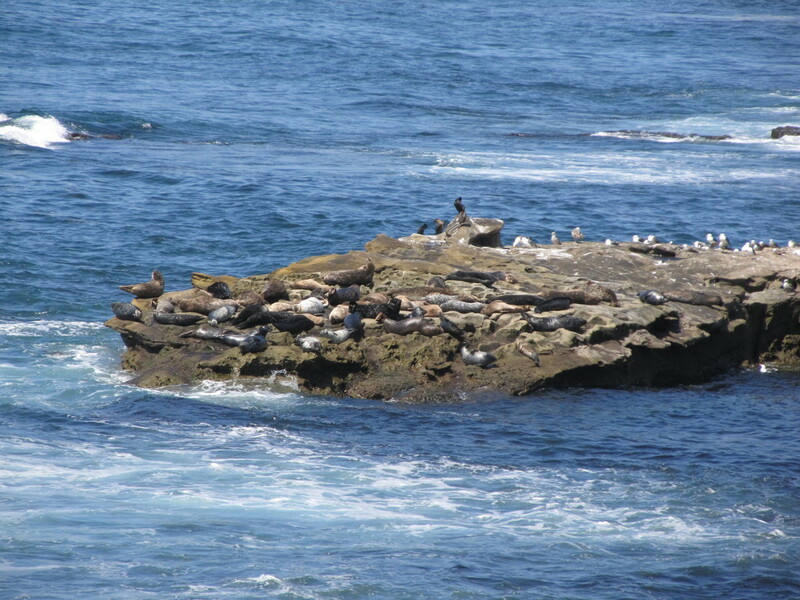 We took a walk and saw some sea lions on the rocks just a little bit north of the seal beach. 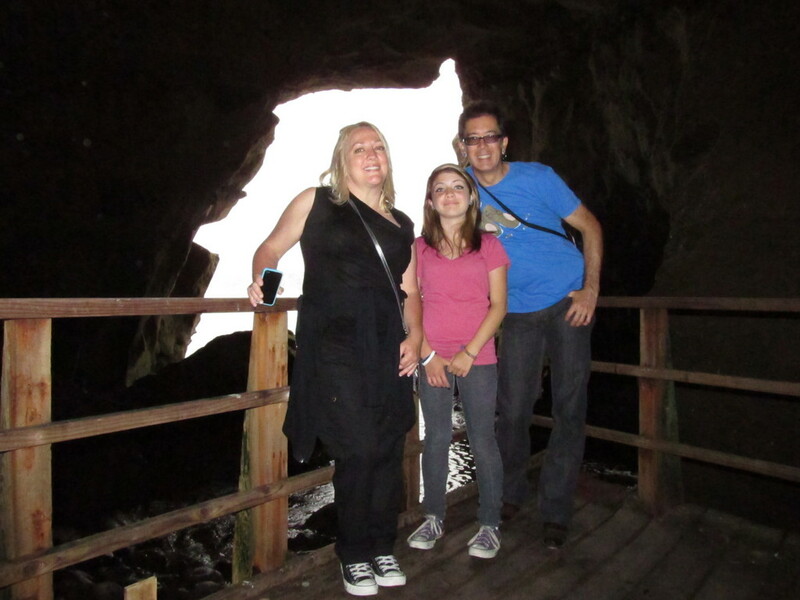 We also visited Sunny Jim Cave. We’ve been there several times now, and they guy who runs the cave store remembered us. After that, we went back to visit Grandpa again. 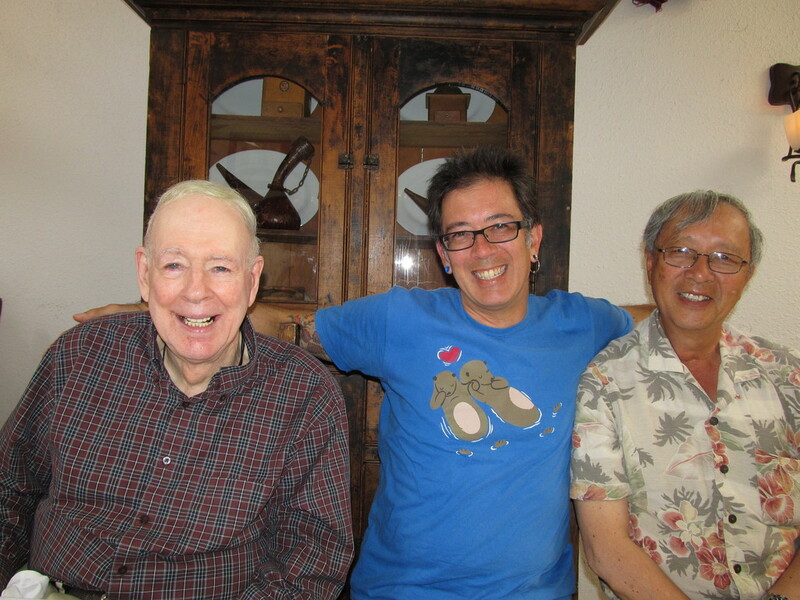 My aunt and uncle had come to visit for the day, so we all went to lunch at Costa Brava in Pacific Beach. On Sunday afternoon, Kathleen, Lucinda and I went to the San Diego Zoo. This was my first time there since 1987, and Lucinda was interested in seeing the giant pandas. We had a nice time there.